Replacing the transmission fluid is a great piece of maintenance, especially as you start putting mileage on the Toyota Tacoma. Although the Toyota Tacoma doesn't require changing the transmission fluid as often as your engine oil, it's recommended you replace it more often once your truck goes over 100,000 miles. The process is cheap and doesn't take too much time. 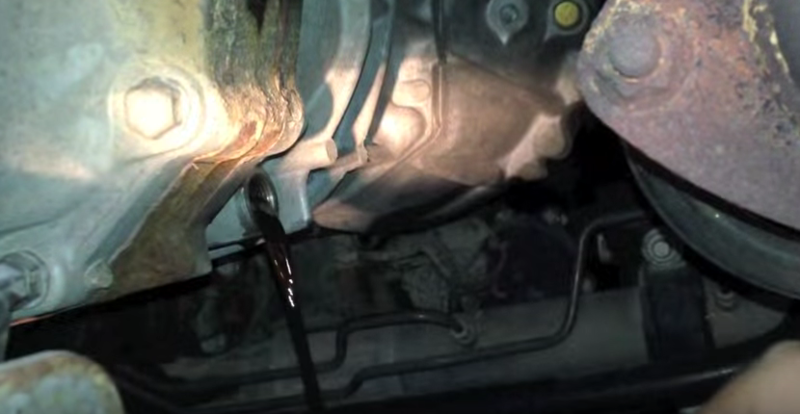 If you're unsure of when the last time you've replaced the transmission fluid was, it won't hurt to do it now. 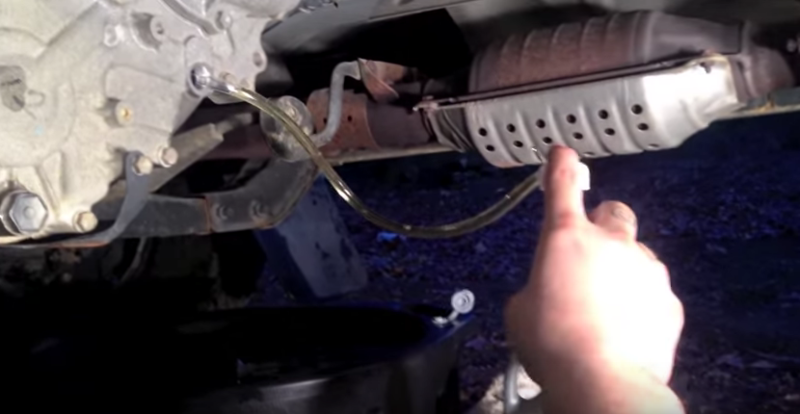 The guide below will guide you step-by-step on how you can replace the transmission fluid yourself on the Toyota Tacoma. Read on to learn how to master this DIY. If you're looking towards the front of the truck, the transmission will have two plugs. 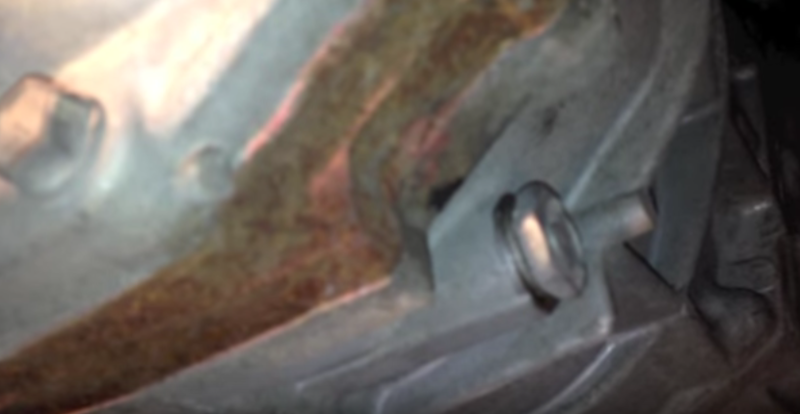 On the left of the transmission is the fill plug, and on the right of it is the drain plug. Place the drain pan under the drain plug, and slowly loosen it. Expect the fluid to come out strong, and weakens as it drains, so place the drain pan accordingly. Tighten the drain plug when it's done draining. Figure 1. Locate the drain plug on the right side. Use your fluid pump to pump just under two quarts in your transmission. Simply put the hose of the kit into the fill plug, then pump the fluid until it starts falling out. Finally, close the fill plug and tighten it. Figure 3. Pump one quart of fluid into the transmission.